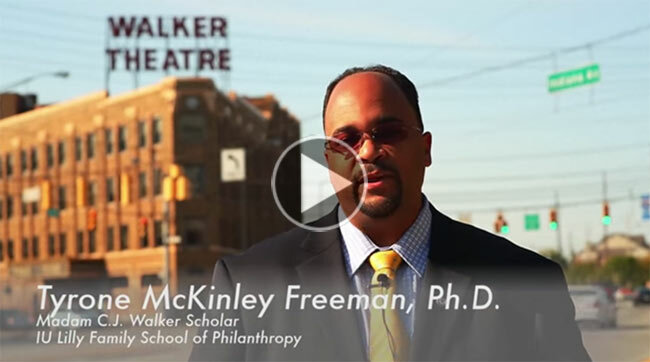 Groundbreaking research by Tyrone McKinley Freeman, Ph.D., on the philanthropy of Madam C.J. Walker, a black entrepreneur who became America’s first self-made woman millionaire, has been honored with a top national award for outstanding scholarship. 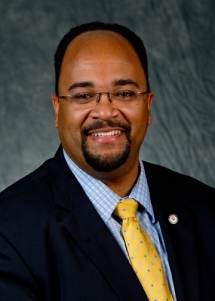 Freeman is assistant professor of philanthropic studies and director of undergraduate programs at the Indiana University Lilly Family School of Philanthropy. The Association for Research on Nonprofit Organizations and Voluntary Action selected Freeman as the recipient of the 2016 Gabriel G. Rudney Memorial Award for Outstanding Dissertation in Nonprofit and Voluntary Action Research. The child of former slaves, Walker worked as a laundress before she founded a hair care and beauty products manufacturing company and incorporated philanthropy into her business operations. Her company was both a commercial and philanthropic venture charged with making money and doing good works to advance African Americans’ social and political progress long before terms like corporate giving and social entrepreneurship became popular. Walker directed her giving to black social service and educational causes important to her business. With racial uplift and independence for black women as her guiding philosophies, she mobilized her national army of tens of thousands of sales agents into benevolent associations and charged them with selling hair care products and giving to charity in their local communities. Oscar-winning actor Octavia Spencer recently signed on to produce and star in a television series based on Bundles’ biography, On Her Own Ground: The Life and Times of Madam C.J. Walker.